Cream together sugar and oil. Beat in egg. Add carrots. Combine dry ingredients and add to sugar mixture with raisins or nuts, if used. Mix with large spoon until well blended, it will seem dry at first but will become easier to mix. Fold in nuts, apple, pineapple and coconut. Fill paper lined muffins cups ¾ full. Bake at 350 F for 20-25 minutes or toothpick inserted in center comes out clean. Cool on a cooling rack. To freeze: Allow to cool completely. 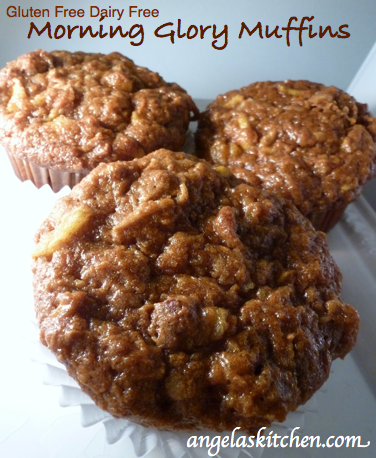 Place muffins in gallon sized freezer bag, remove as much air as possible, seal, label and freeze.